Separating Kashmir from Pakistani relations could help solve India’s sovereignty problem. The government of Prime Minister Narendra Modi’s cancellation of ministerial level talks with Pakistan this week has drawn wide criticism and is being seen as inept and short-sighted. The majority of the criticism is focused on the impact that it would have on the Kashmir issue. While indeed this issue is a primary irritant in Indo-Pakistani relations, and cancellation of the talks would certainly not sit well with either the Pakistani establishment or separatists groups, Modi’s decision to cancel the meeting is essentially a signal to Pakistan that India is not going to play by Islamabad’s rules any longer. Pakistan has indelibly impaired India’s national security, not simply by supporting and sponsoring cross border terrorism, but also by openly colluding with separatists flouting India’s sovereignty and territorial integrity. In other words, while the Pakistani military has been condoning a low intensity conflict with India, its government is engaged in separatism in Kashmir. What Modi essentially did was to end the tripartite nature of the Kashmir issue, which hitherto defined the otherwise bilateral relations between India and Pakistan. By involving the Hurriyat group, the earlier UPA government essentially included the Kashmiris as a third party to the question of Kashmir. This has ominous security implications for India. For one, it legitimated not only the separatists’ role in the decision-making process, but more importantly extolled separatism in the narrative of the nation. Second, it emboldened the Pakistani government to openly challenge India’s national integrity. Third, it has convinced the Kashmiris that their problems cannot be solved by their government but by outside forces, thus distorting the Kashmir issue itself. Under the patronage of Pakistan, the Kashmir problem, which hitherto was a governance problem, soon metamorphosed into an identity issue and coalesced into a separatist movement. After which those Kashmiri leaders who dared to discuss the Kashmir issue within India were assassinated, in attacks linked to Pakistan. It is no wonder that a solution on the Kashmir issue remains elusive. That the tripartite process involving the separatists is fundamentally flawed could well be gauged by China’s Tibet policy. 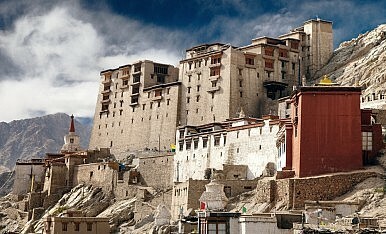 Of course, Kashmir and Tibet are not similar cases and any parallel drawn between the two would inevitably be faulty. The similarity, such as it is, lies in the nation building process of India and China – the two hitherto civilizational states metamorphosing into nation state systems in the postwar era. The questions of Kashmir and Tibet are both the result of these two sovereign states’ attempts at making the state and the nation congruent. The trajectory of this development however, took different paths given the different political and strategic cultures of India and China. From the beginning, China intrinsically considered Tibet a security issue. It used the People’s Liberation Army (PLA) to militarily wrest control of the region and establish sovereignty in Tibet. To consolidate its control, China turned Tibet into an autonomous region in 1965 that guaranteed no autonomous status to the Tibetans. This is in complete contrast to Article 370 of the Indian Constitution that offered unique status to the residents of Jammu and Kashmir, and allowed them to live under a separate set of laws related to citizenship, ownership of property and fundamental rights. In 1979, with increasing foreign interference on the Tibetan issue, the Chinese government opened channels of communication with the Dalai Lama. Later, the levels of communication, albeit with intermittent breaks, graduated to nine rounds of talks between the envoys of the Dalai Lama and Chinese officials. Clearly, Tibet is a settled issue for China and the talks could only happen as long as they do not in any manner challenge Chinese sovereignty. Also, despite the fact that the Tibet issue is inextricably entangled with the India-China border dispute, China has never allowed Tibet to be the focus of discussion with the Indian government. Rather, it preferred to opt for two separate channels of dialogue, one with the Dalai Lama’s envoys and another with the Indian government. The point here is not to judge whether China’s Tibet policy is successful, but to state that China has remained steadfast in maintaining sovereignty over Tibet. With its rising economic and military power, it has also been able to blunt the human rights outcry and has so far succeeded in portraying Tibet as a domestic issue. There is an obvious lesson that India could learn from China while dealing with the Kashmir issue. Apparently, the Modi government now seems to realize that before India can dream of great power status, it should learn to behave as one. It should protect its sovereign territories and defeat the forces that question its national integrity. By ending Pakistan’s collusion with the Kashmiri separatists, the Modi government has first and foremost sought to restore India’s sovereign rights in Kashmir. Second, it has put a stop to making Kashmir a tripartite issue, and reduced the cacophonic impact of the Kashmiri separatist forces on Indo-Pakistani bilateral negotiations. Third, and quite notably, Modi’s new policy does not indicate an end to dialogue with the separatist leaders. In fact, Modi’s next step should be to reach out and initiate a meaningful dialogue with its own people of Kashmir. Opening a direct channel of communication with the Kashmiri separatists is a necessary step to preclude the interference of the major powers on the subcontinent, and to blunt Pakistan’s impact on a domestic Indian issue. Equally necessary would be to keep the Kashmir issue separate, and look for other avenues to build bridges with Pakistan. With economic development and integrated regional growth, Modi could well tempt Pakistan to distance itself from the Kashmir issue. A prosperous economic story that integrates Jammu and Kashmir could possibly make the residents of the state see the virtue in being part of India. Abanti Bhattacharya is an Associate Professor at the Department of East Asian Studies, University of Delhi. What Will India-Pakistan Peace Take? Is a genuine normalization of relations between India and Pakistan possible?